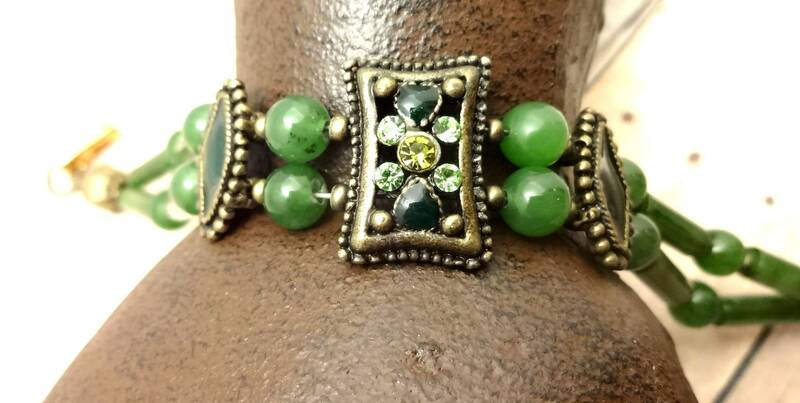 This bracelet makes me want to speak with an Irish Brogue - though I don't have a drop of Irish in me! 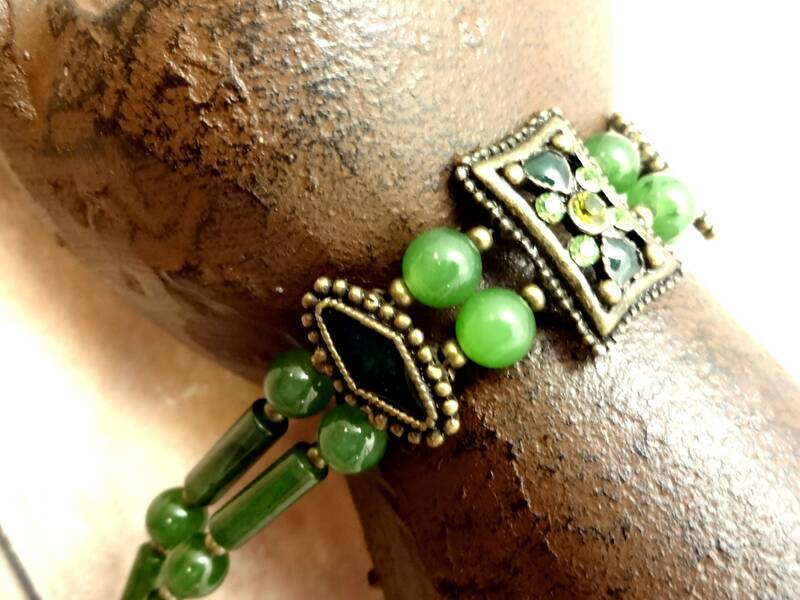 This bracelet features genuine Jade beads strung in two strands that are connected by enamel two hole spacers in antique gold brass. 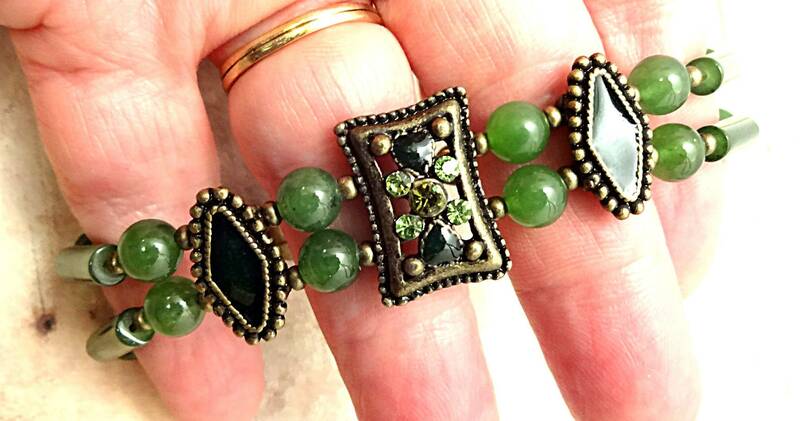 The central spacer bead has four green crystals and enamel hearts. 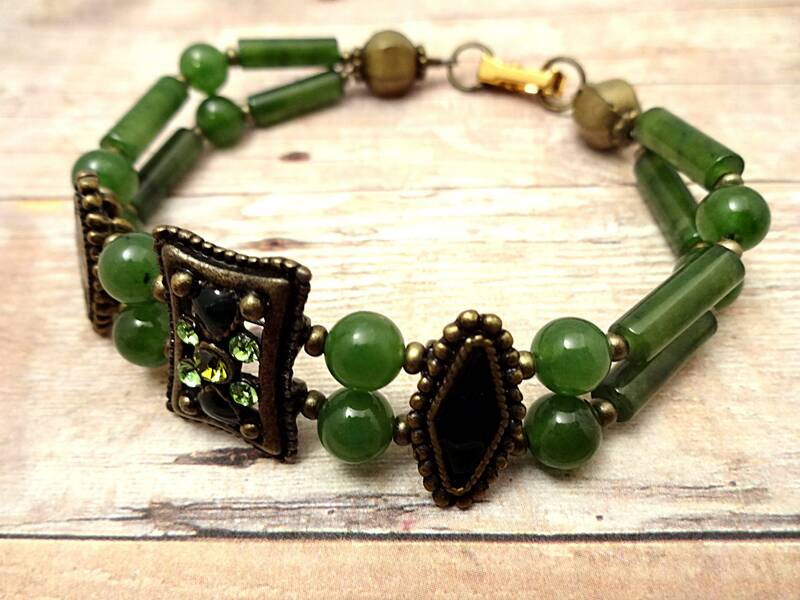 The jade is a nice dark green in 6mm rounds and long tubes separated by antique gold glass spacer beads. 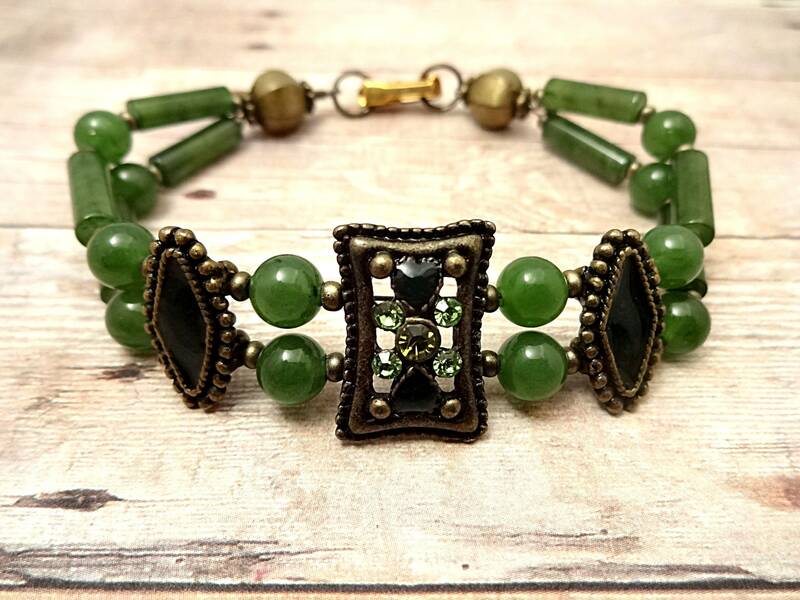 A fancy antique gold metal bead ends the bracelet. The clasp is a gold fold over that connects to a large jump ring. I can add a couple more jump rings for length if needed. 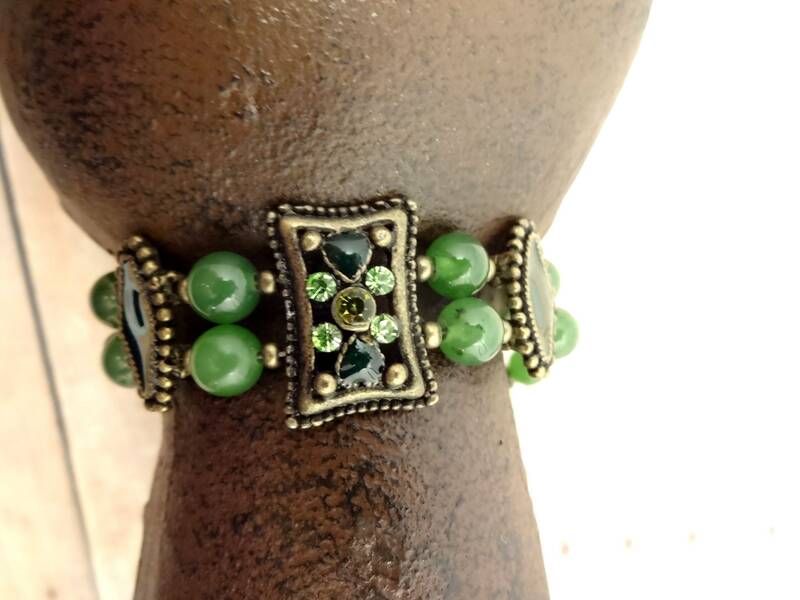 This bracelet will fit a wrist size of 6-1/2 to 7 inches.